LOY SEARLE has been a leader in the Globalization industry for 20+ years leading localization and content organizations. Within the ERP industry, her teams pioneered single-sourcing content strategies and built extraordinary integrated global CMS/terminology solutions. At Google, where it’s about speed at scale - she led Global Production and Language Services - turning language quality around while shortening time to market. At Intuit, her team built a scalable Globalization foundation to support their market expansion plans and transformed their global content UI design experience. At Deluxe, her team built a scalable outsourcing practice and implemented a new technology stack to support the Entertainment industry’s digital transformation. Today, Loy is a trusted advisor to companies seeking to take their business global - helping them establish their globalization practice. To aspiring leaders - seeking to grow their skills and advance in their careers, Loy is a trusted leadership coach. Loy is also currently Vice President on the board of Women in Localization. LIESL LEARY is the Head of Content Marketing at SDL. As head of content marketing, she oversees not only SDL’s brand, but also manages a worldwide team of creative resources, in addition to managing corporate localization for the organization. She has personally written SDL’s annual report as well being the author of multiple publications including the Five Future States of Content. With Women in Localization, she is responsible for managing the marketing committee and rebuilt the Women in Localization brand and logo in 2017. She is an active corporate philanthropist, raising money for causes that promote sustainable economic development. She lives in Denver with her 4 children and husband, and strives to connect with others and promote workplace diversity. 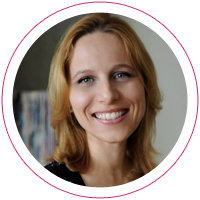 EVA KLAUDINYOVA has been working in the localization industry since 2000, managing localization projects, leading localization teams and implementing new globalization strategies in companies like Medialocate, VeriSign, VMware and Apple. She is multilingual and holds a Master’s degree in Foreign Language Teaching from Slovakia, as well as a Master’s degree in Translation from the Monterey Institute of International Studies in Monterey, CA. Eva is based in the Bay Area in California and is a co-founder of Women in Localization. 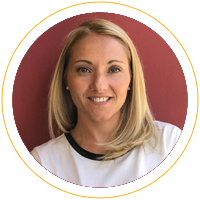 SILVIA AVARY-SILVEIRA has over 16 years of localization experience working for high-tech companies including Juniper Networks, Symantec, VeriSign and NetApp. She is a native of Brazil and has been living in the U.S. for the past 20 years. 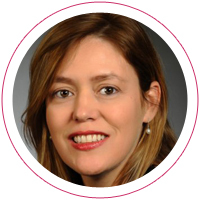 Silvia is fluent in Portuguese, English and Spanish and she has a diverse background, which includes an MBA from San Francisco State University and a Doctor degree in Veterinary Medicine. 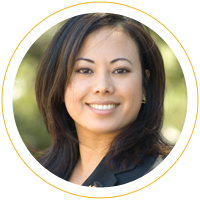 Silvia is based in the Bay Area in CA and is a co-founder of Women in Localization. SONIA OLIVEIRA is the Senior Director of Globalization at GoPro, Sonia is responsible for international strategy, local execution and global growth. Her department focuses on key business functions including Marketing, Firmware, Software and Media localization. 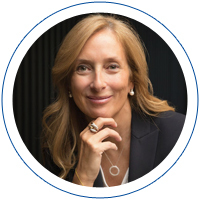 As an experienced professional in the industry, Sonia has spent most of her career in leadership positions at start-ups and well-established companies including Siebel (Oracle), Adobe and Zynga where she built and scaled highly productive teams to reach continuous and simultaneous delivery in multiple languages and platforms. 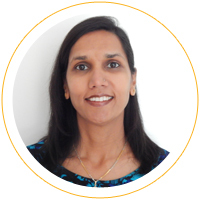 Sonia has lead all aspects of the localization cycle including engineering, testing, program management and vendor management with distributed teams in the US, Europe and Asia. Sonia has been a frequent participant in localization conferences, round tables and forum discussions in the industry. She is fluent in Portuguese, English, Spanish and French and holds a BA in Translation and Interpretation and an MA in International Relations. 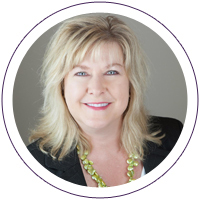 ALLISON MCDOUGALL brings 22 years of strategic business development and client relationship management experience in the localization industry. Over the course of her career, she has created and transformed teams in North America, Europe and Asia to deliver double-digit revenue growth. In January 2019, she was appointed to lead worldwide sales at Amplexor, a Top 10 LSP headquartered in Luxembourg. She also served as President of Women in Localization in 2017, establishing a strong foundation for future expansion. Prior to that, she served as a Professional Advisor and led Women in Localization Public Relations initiatives. 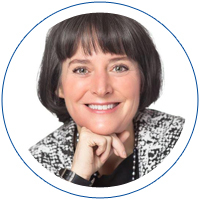 Passionate about mentorship in the workplace, gender equality, intentional employee recognition, and continuous learning, Allison is excited to re-join the Board, focusing on a solid membership technology infrastructure and programs for our worldwide members. MONICA BAJAJ is a native of India and moved to US 20 years back. Monica has led and built several high performing and collaborative Engineering Teams across larger enterprises like NetApp, Cisco, Perforce, ITradeNetwork . over the course of last 18 plus years. She currently heads as a Director of Engineering at Ultimate Software focused on AI and People software. Her prime focus has always been on facilitating creativity, collaboration, and camaraderie—all in the service of customer value. She also serves on the board of Women in Localization as a Chief Compliance Officer for their GDPR and Security initiatives.When not working, she shares wisdom with peers and youth alike as a speaker/mentor/advocate for women in tech leadership—whether through programs for young girls (Code for Fun) or upcoming professionals (Everwise, Plato). She is an active Scout Mom who believes in equal engagement with boys and girls. Monica holds an M.S. in Computer Science from IIT Mumbai, India . She lives with her family in Fremont, CA . You can follow her at @mbajaj9 on Twitter or reach out to her on LinkedIn - https://www.linkedin.com/in/mobajaj/. 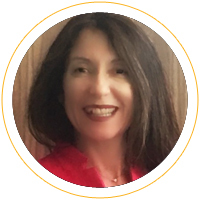 CECILIA MALDONADO has 20-years of experience in the localization industry includes co-founding, managing and merging language service companies and co-founding the first language industry association in Argentina. She also volunteers with different international organizations and has organized more than 30 training events such as the Language & Technology Conference, Think Latin America, and the Vendor Management Seminar in Argentina, Chile, Mexico, Brazil, Ireland, Peru and the United States.